Stepping onto the nostalgia train should be a treat when finding an old favorite book, The Boxcar Children, was made into a movie. 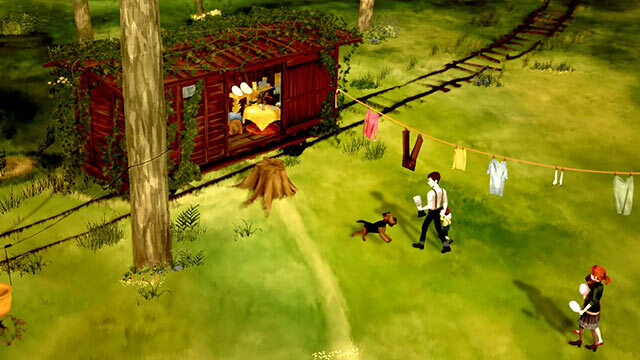 The heartwarming tale of four sibling runaways hiding from the world in a Boxcar in the mid to late 50s would later go onto a platform like that of the Nancy Drew books. The movie, however, sticks to the first book by keeping with the original story. 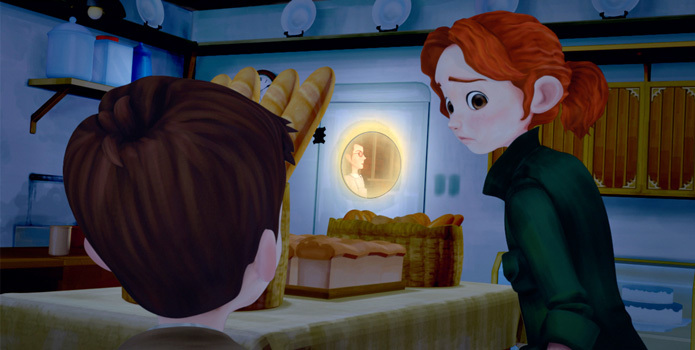 The movie starts with Henry, Jessie, Violet and Benny stopping at a bakery. After some talk they convince the less-than-bearable baker to let them stay the night. After the youngest, Benny and Violet, had fallen asleep, Jessie and Henry overhear the baker talking to her husband. She decides to keep them, as they’ve made claim they have no family other than a distant grandparent that wants nothing to do with them. The downside is she sees no need for the youngest, Benny. This prompts the eldest of the Adler kids to rouse their siblings and leave in the middle of the night. Stumbling upon the abandoned boxcar, the two eldest find it perfect for hiding from the grandparent they are desperate to avoid. However, they run into the issue that they are low in funding, meaning Henry, as the oldest, will have to go to the nearby town of Silver City for work. This worries the others, as their grandfather may find them. Henry eases their concerns with a short game of Benny being Robin Hood and is on his way. This remains the general theme of the movie, in which most of it is a game to the two youngest while the two elders worry about trying to survive. This somewhat slow pace takes the majority of the movie, inching along on the children’s joy and struggle to make a home of an abandoned boxcar. Some high notes are the discovery of the dog, Watch, who becomes their faithful companion, the decorating of the boxcar itself, and the interaction with the film’s main adult the Doctor. Despite the less-than-stellar voice acting, it utilizes its low budget, and the almost watercolor look gives a nice touch to a generally bare CGI. Most of the background and inanimate objects look pulled out of a 3d modeling software. However, the creative art style makes the lackluster less glaring. The low budget does negatively affect other aspects, as the character models have little facial features beyond generic expressions. The walking cycles are all the same regardless of the character, which comes off as extremely awkward as it’s a slow walk and takes longer to get off screen as the camera barely moves. This leads to scenes taking longer than they should. 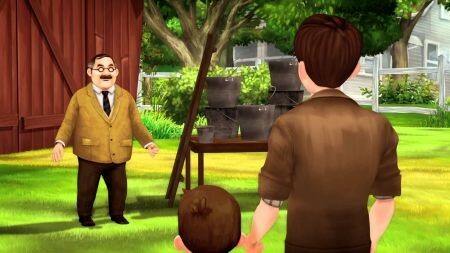 The issue of facial features does lead to certain hilarity at one point in the mid to end of the movie, in which Henry partakes in a race at a fair to win the 25$ prize. Due to the budget, this generally dull scene causes some of the most interesting highlights of the movie. The faces and voice acting give way to a very interesting look, such as the ‘climax’, in which the expressions given look almost freakish from lack of recognizable features, making it all the more hilarious and a slow-as-molasses script bearable. 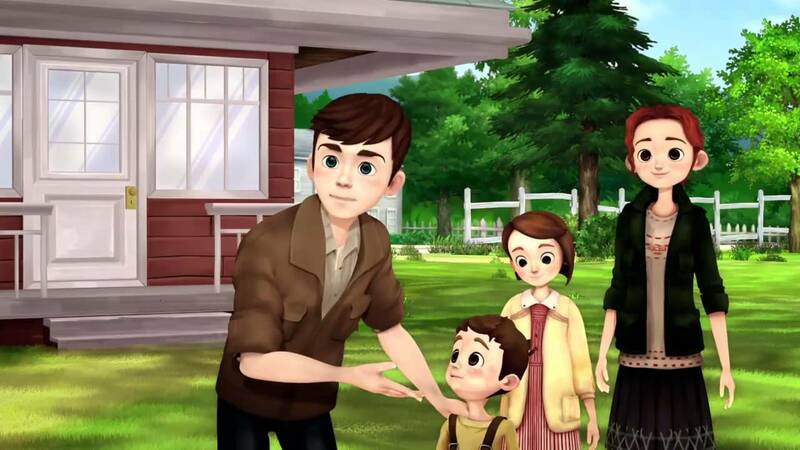 All in all, The Boxcar Children is a slow but still charming straight-to-DVD/Netflix movie. Its creative art direction makes what could have easily been a boring feature film surprisingly enjoyable. The lack of budget shows in character work as well as objects, and the voice acting feels phoned in at many points, but the heart behind it is there. The Boxcar Children is a decent film for a lazy sunday viewing nonetheless.